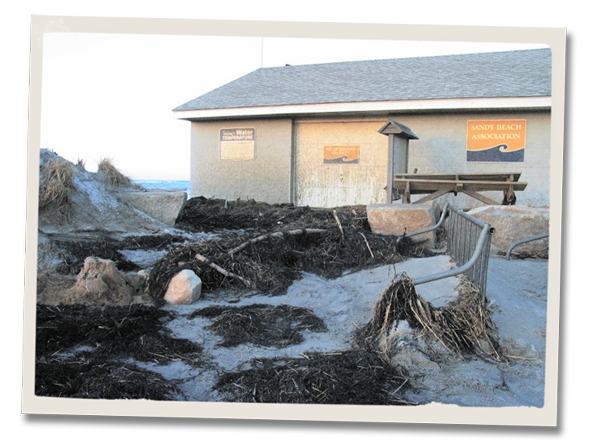 Sandy Beach Association (SBA) is a nonprofit organization which owns the beach and is directed by volunteer Cohasset residents. The significant operating budget of the SBA provides full-time lifeguard and maintenance staff, bathhouse facilities operations and upkeep, and the annual large scale cleanup which will be especially challenging this year. The Association depends upon the generous gifts of Cohasset citizens each year to cover its expenses. Simply put, the beach could not open without your contributions. Please remember the fee for your annual all-facility sticker DOES NOT contribute to the operations of the beach, instead goes directly and entirely to the Town of Cohasset. The Town owns the beach parking lot. Your donations to this once-a-year fundraiser cover the entire SBA budget. To those individuals, families and businesses who have consistently and generously supported the SBA -- and there are many - - we remain grateful for your continued contributions. This year we are asking everyone to give to the extent their circumstances allow. We recognize there are so many important outlets for gift giving, but we ask that you, please give serious consideration to the Sandy Beach Association.